Oral tradition is important in many fields of study such as psychology, anthropology, linguistics, folklore studies, history and the classics. 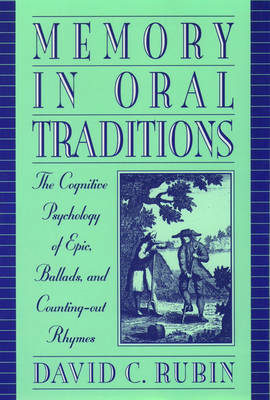 This book combines the methods and theories of cognitive psychology with the study of oral traditions to test and expand the ideas of both. It is the first book on oral tradition from an author with professional knowledge of human memory and cognition. Easy to read, and in a jargon-free style, this book will appeal to a wide range of academics and graduate students from various disciplines.